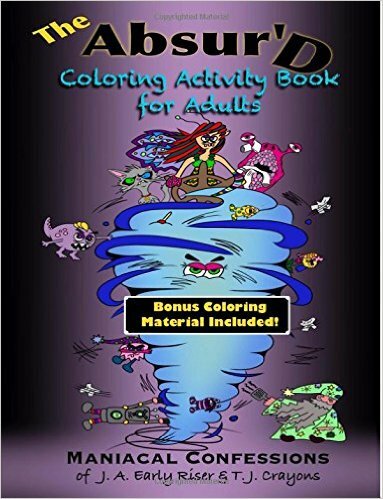 Doodle Artist – Simply Snowflakes: A colouring book for grown ups is illustrated and was very kindly sent to me by Annette Rand. Don’t be fooled by the title of this book, it doesn’t mean that the images are simple; they’re anything but simple. It just means that all of the images are snowflakes, snowflakes and more snowflakes. So get your coats, scarves and mittens on, and get ready to walk through the blizzard of stunningly detailed snowflake images. Like Annette’s other books, they really do what they say on the tin – this book is filled with 30 full-page spreads of snowflake images and they are stunning! This paperback book is A4 size and contains images of single snowflakes in the middle of the page, pairs and trios of snowflakes – even a couple of pages filled with snowflakes, like a very artistic snowstorm. 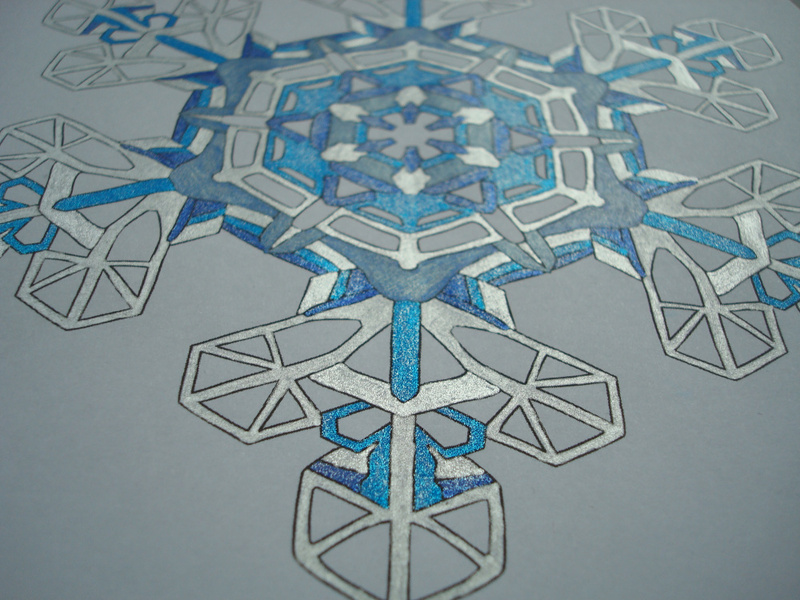 Just like real snowflakes, no two in the book are the same so you won’t get bored and can colour each one differently from the last. The book is glue-bound so it’s a little difficult to get it to lie flat, but the images are printed single-sided with a large border around them. So none of the designs are lost into the spine. What I really noticed about this book, apart from the stunning images, is the paper quality. 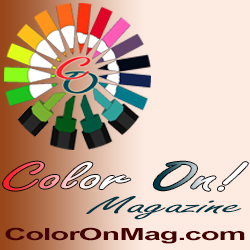 Many self-published books are printed on thin paper that you can see half the proceeding images through. Not so in Annette’s book. The paper is bright white and thick enough that my water-based fineliners didn’t bleed or chew up the paper in any way. It was a joy to colour, and would be perfect for pens or pencils. You could even use your sharpies or alcohol pens. Just put a protective sheet behind so the next image doesn’t get spoiled. In terms of mental health, this book is lovely. It’s really calming and has various different levels of intricacy to suit your good and bad days. The line thickness is the same throughout and I would describe it as thin but not very thin (approximately fineliner thickness.) The lines are crisp and accurate with no fuzziness, blurring or not quite joining up, so this is a really professional looking book. Coloured using UK supermarket own-brand gel pens. Click for large version. 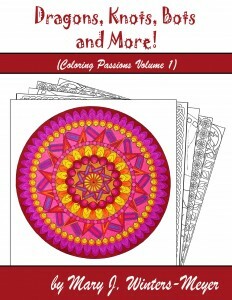 Some of the snowflakes have larger open spaces to colour in blocks, while others have much smaller areas for you to take your time colouring in, so this book is good for adapting to your differing concentration levels. You will need fairly good vision and fine motor control to fully enjoy this book. I really enjoyed colouring this book for review. It was the perfect book to start using my glitter gel pens on, so my snowflake could sparkle like snow in moonlight. If you love snowflakes and winter, you’ll love this book. It has every type of snowflake imaginable from rounded to pointy, abstract to patterned, simple to ornate, and everything in between. I find nature themed books the most relaxing, and the best at reducing my anxiety levels. This book was no exception – I found it very calming and relaxing. The pictures are beautiful, there are no filler images and each has definitely earned its right to be there. You could even cut them out once you’re done and frame them or add them to some wintry or Christmas themed craft projects. The variation in levels of detail and intricacy means that as long as you have fairly good vision, you’ll be able to enjoy this book on your good and bad days. Those of you with moderate to good fine motor control will definitely get a huge amount out of it.